We successfully diagnose and care for thinking, emotional, and behavioral challenges. Our services can help restore a sense of wellness in people with complex problems such as complications from stroke and epilepsy. Accurate diagnosis: We review the results of imaging tests in addition to performing specialized evaluations. Our complete approach helps us pinpoint the source of the problem so we can recommend the most effective treatment. Find out more about neuropsychiatric evaluations. Leadership & education: We are educating the next generation of neuropsychiatrists through a medical training (residency) program in partnership with the University of Maryland School of Medicine. 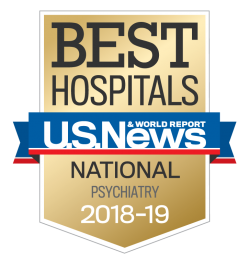 Neuropsychiatric evaluations: We perform a complete assessment combining imaging, blood and cerebrospinal fluid testing, neuropsychological testing, and additional expert consultations to explore all possible causes of symptoms. Personalized treatment plan: Our neuropsychiatrists develop a plan that meets your loved one’s unique needs. This plan may include psychiatric medications and cognitive behavioral therapy. Find out more about neuropsychiatric treatments.